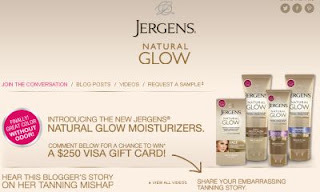 Click the link below to go to the Jergens® webpage. Once on their webpage click on the link in the middle of the page that says, "Request Free Sample" to fill out the popup form. You can also share your embarrassing story to enter to win $250 gift card!